This article clearly makes the case that Immigrants contribute to America both economically and through their scientific and business contributions. It’s obvious that Immigrants are extremely valuable to the United States as a whole through their economic, scientific, and business contributions. It’s in the American people’s interest to have an Immigration system that encourages immigration. The current system hardly accomplishes encouraging immigration. The main driver for foreign students to study in the United States is the same driver for American born students, namely, to find a job in the United States. To find a job, provide a service to their employer and community, earn a paycheck, start a family and continually invest and contribute to their economy. But, the current Immigration system makes it very challenging for students that find jobs in the United States to stay in the United States. For instance, the general ideal life cycle of an Immigrant is enter the U.S. on an F1 Student Visa, study 4 to 8 years depending on whether they participate in a graduate or professional program, find a job from a U.S. employer wishing to extend a job offer, the U.S. employer files an H1B visa for the employee, then an Employment based green card through either an EB2 or EB3 Green Card. Theoretically this is a good system. However in practice, it’s extremely complicated, very long and very tedious. The main reason for the failed execution is the Congressional Caps on the amount of H1B’s and Employment Based Green Cards. I would further argue that capping the amount of H1B’s, green cards, and the PERM (Labor Certification) System is highly unnecessary and makes U.S. employers less competitive to overseas employers. Congress allots 65,000 regular H1B visas and 20,000 U.S. Master’s Degree workers each year. H1B filing begins on April 1 each year for employment beginning on October 1. In a normal economy, those precious few 85,000 H1B visas each year is a fraction of what is really needed. Granted, the job market has been very weak since 2009, however, every year we get calls from U.S. employers discussing their hiring plans after the 85,000 H1B’s are exhausted and we have to inform the employers, wait until next year, start early and file by April 1 to have the best chance at securing H1B’s for your employees. For those that don’t believe me, in 2007 their were 150,000 (almost two petitions for each available visa) filed on April 2, the second day filing was allowed. 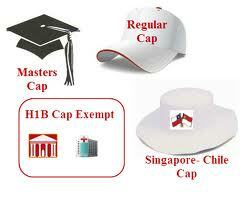 In 2012, hardly a robust job market, the H1B cap was exhausted within 3 months. For those employers wishing to hire a foreign employee what are their options? For most, wait until next year and hope that the employee will be available next year. And when we say next year, they can file April 1, 2013 for October 2013. So if a U.S. employer found an employee they want to hire in July 2012, they need to wait until October 2013 for that employee to actually be able to legally start working for them, unless their are other options available such as F1 OPT or O-1 extraordinary ability. But for those foreigners that cannot demonstrate extraordinary ability (most can’t, that is the point they are extraordinary in their field) or do not want to pay more tuition for the chance of getting an internship with the employer, they need to return to their home country and wait until October 2013. Do you think most employers can afford to wait 15 months for an employee? Absolutely not, so they have to continue their recruitment and find someone else hopefully equally qualified. It’s not just qualifications we are talking about. Many students have the requisite qualifications but I would argue that chemistry between the employer and employee is crucial. Most employers hire someone they think can do the job, help grow their business, and they get along with or at least have the potential to have a good relationship in their interactions. From the employer’s stand point it becomes an issue of I found someone that I want working for me, there might be others with an MBA or engineering degree, but I think we can work well together, I want to hire this person. There again, when the H1B cap is full, tough luck to the employer and the immigrant. 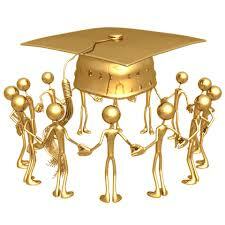 The immigrant will take their U.S. University learned skills to some other lucky country. Clearly the cap on H1B’s is a flaw in our system. These arbitrary caps don’t just apply to H1B visas but also to green cards. Congress allots up to 140,000 Employment Based Green Cards each year and each country is capped at a maximum of 7% of the total allotment. Under our ideal theoretical scenario of entering on an F1, securing one of the precious few H1B’s each year, and then having an Employer go through the tedious and costly EB2 or EB3 process involving PERM, the employer and employee will have to wait many years for the green card priority date to be current and processed. For example, someone with a Bachelor’s Degree from India or China wanting to pursue an EB3 Green Card are looking at an 8 year wait period and a 5 year wait period respectively. An employer wants to offer an overseas worker a permanent job offer, they need to wait many years in addition to going through a very challenging Labor Certification process. During the 5 or 8 year wait period, sometimes longer, sometimes shorter depending on the backlog, the employer and overseas worker need to go through a landmine of rules so that the employee can maintain status during this wait time. H1B’s are good for 2 3 year terms totaling 6 years. There are special circumstances where the 6 years can be extended when an Employer and Employee have an approved Labor Certification, but these rules are very complex and in many circumstances difficult to navigate. To save the best for last, or at least the most challenging for last, is the PERM Labor Certification process required for most EB2 green card cases and all EB3 Green Card cases. PERM is the process of an Employer that has made their mind up to extend a foreign worker a permanent job offer and expend some of their resources on the Employment based Green Card Petition process needing to conduct recruitment and prove that their are no available U.S. workers for this position. From the Employer’s perspective, this makes absolutely no sense. From the U.S. employer’s perspective, they found an employee they like enough to extend a permanent job offer, their willing to prove the merits of the case so that this employer can continue working for the organization, but before petitioning for the employee they have to prove there are no other eligible U.S. workers. So what if there is another U.S. worker eligible for this position on paper. The U.S. employer likes this person enough and believes they’re the right person for the job, period. There is more to hiring than being qualified on paper. From the employer’s perspective, in an economy that they thought was a free market, why shouldn’t they be free to hire this person over a U.S. worker even if the U.S. worker is just as qualified on paper? Clearly it’s a balancing act to protect U.S. workers but I would argue that the prevailing wage requirements ensure that the wage is fair relative to others in a similar location and field, which serves to protect U.S. workers as well as foreign workers for wage abuses. However, employers should be able to hire who they want as long as the other elements of the green card are met, and that is the point of this article, if there is going to be Comprehensive Immigration Reform. Let’s make sure we get rid of these arbitrary caps on H1B’s and Employment Based Green Cards. More so, let’s eliminate PERM and let employers hire whom they please provided the other legal requirements are met. In other words, why not make the EB2 and EB3 green card system similar to the H1B system, but add residency requirements? In conclusion, Immigrants clearly benefit the United States as Walter Ewing’s article proves. Immigration Reform should include measures that encourage foreign students to keep studying in the United States. We encourage continued study by making it easier for students with job offers from U.S. employers to obtain immigration status and eventually lawful permanent residence. A Employment based Immigration system not bogged down by arbitrary caps not only benefits foreign workers and the United States, but it also ensures Employer’s stay competitive relative to overseas employers. ← Demand for Permanent Residence in the United States – Unfortunately Supply is Outpaced by Demand!